Video of Great Video Light Kit For Beginners? Maybe! First off, I am in no way, shape, or form a video guru. There are plenty of writers for Fstoppers that are amazing with it, so if you're looking for a lot of techie jargon, specs, and such, you won't find that here. 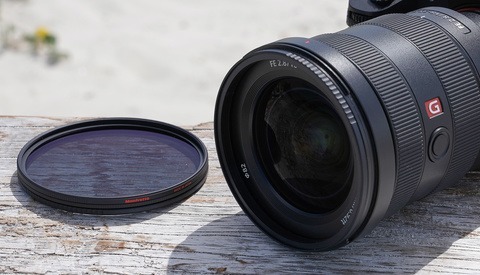 Rather, as an aspiring vlogger and dabbler in video, I'm giving you my thoughts on the usability and cost-worthiness of this kit for those with a similar (or even more paltry) background as myself. I've been looking to get into vlogging and taking my YouTube presence to the next level for a while now (haven't we all?) and as much as I've enjoyed using the modeling lights on my flashes to attempt to light myself, I knew that I should probably invest in some lighting that was actually meant for budding video. 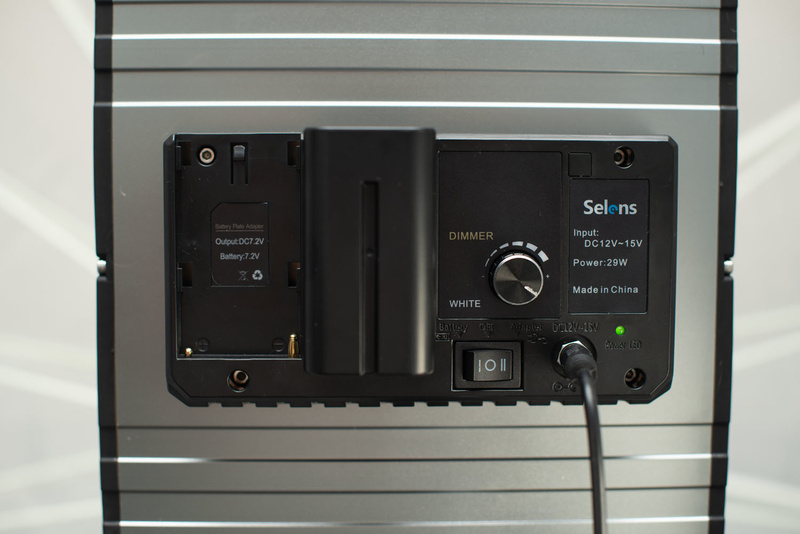 So when Selens came out of the blue and offered to send me a GE-500 light kit to test out, I was all about it. The back panel is simple, with no bells or whistles, but plenty of usability. Build quality-wise, all the items seem fine. No loose fittings or anything. For the money, all of the components seem built well with the exception of the bag. More on that later. Each of the lights is solidly built and easy to use. No remote control for the lights, which is kind of a bummer, but for the limited work I do, I'm not too worried about walking 5 feet to the light. I knew that power would be an issue with these or any low-cost LEDs, so I was prepared for low numbers. With the frosted white panel on a single light, I was getting f/2.8 at 1/60 sec. at 5 feet at ISO 800 with my Sekonic meter. 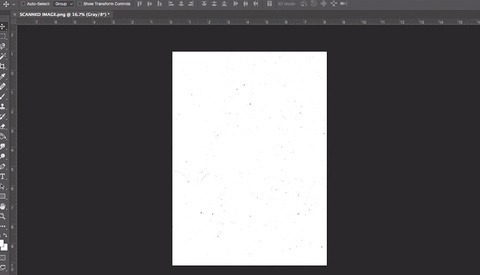 When I removed the white panel, I got f/5.6. So, with the panel, I lose 2 stops of light. If you have your own diffuser that's more forgiving, I suggest you use that instead to lessen the amount of light sacrificed. Although these levels sound low (and they are), definitely take into account what you're using to record your video. If your camera is decent in low light, and you don't plan on using these outside, there should be no issues. I shot the accompanying video on a Nikon D800 and the footage seems fine to me. Then again, I'm not a master, so take that with a grain of salt. I'd love to hear some of you video pros sound off about power needs in the comments! Get used to it. The foam constantly needs to be refitted to the inside of the bag. A small annoyance, but one none the less! 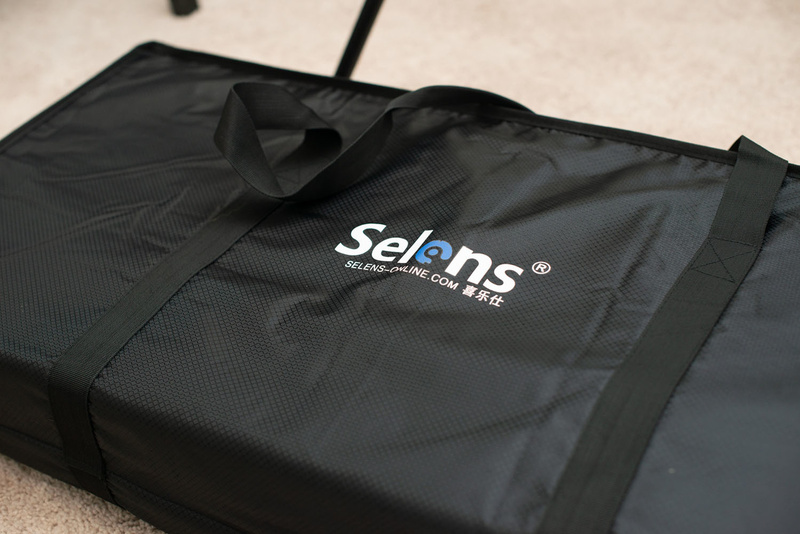 Having the video kit in its own bag that's easily portable is super appealing to me. I already carry so much gear to shoots that the ability to be low profile with any extra equipment is key. The nylon bag is 36" x 15" and only 6" thick, making it very portable and easy to throw in my jeep as an afterthought. 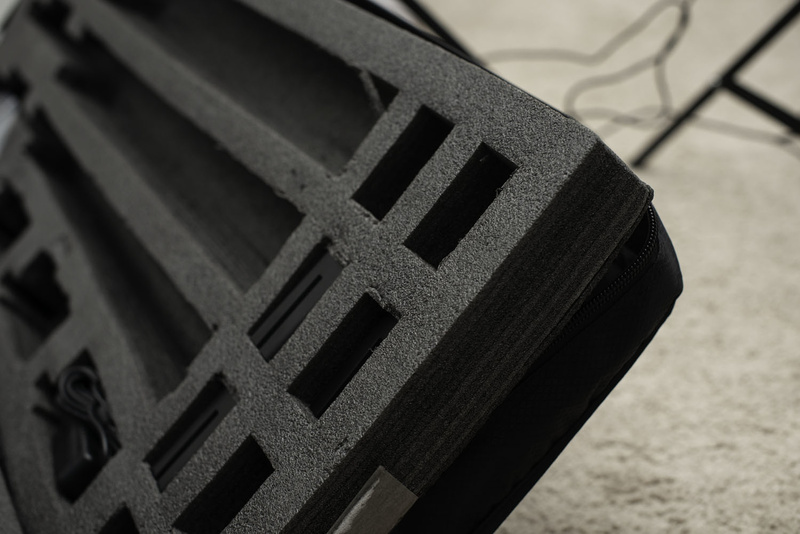 Each piece of kit has its own place in a foam mold that fits neatly into the case. That said, the overall quality of the bag is pretty flimsy. The foam doesn't stay fixed to the bag, so you're constantly having to reposition the fabric of the bag around the foam to close it. The lights are versatile, able to use either AC power or batteries. The batteries are the Sony-style bricks that have become ubiquitous with lighting setups, and knockoffs can be had for very little on your online marketplace of choice. Although they are only 4400mAh, each light fits 2 batteries, allowing for long run-times. You can also easily switch to AC power by using the provided adapter and flipping the switch the opposite direction. The white and warm color panels slide over the LED bulbs fairly easily, but it can be tricky to get your fingers under the panels to get them out. Although not easy to get in and out of the light, the white and warming panels are very useful. Here's the big hiccup: price. This kit clocks in at $399. Of course, this entire kit costs less than one of my flashes, so on the surface it seems like a pretty good deal! However, a quick search for similar products will reveal that similar kits are going for $100 less. 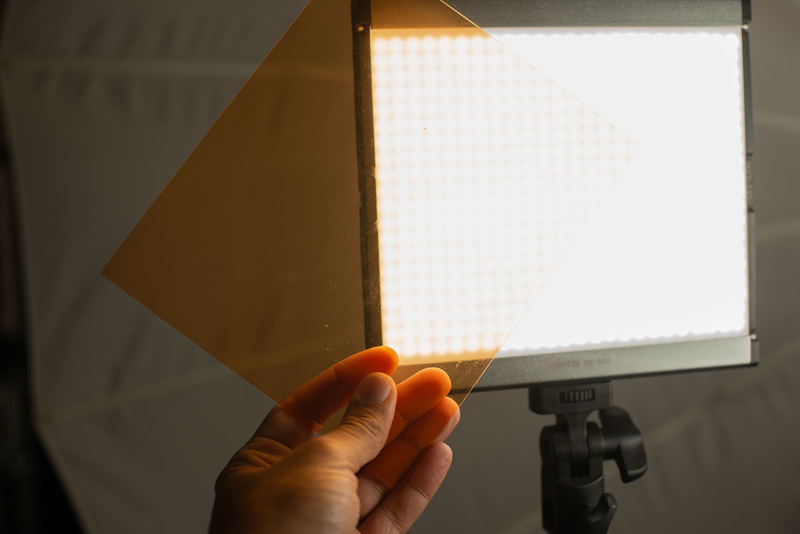 Of course, I can't speak to the quality of said kits, but if you're newly in the market for video lighting, price is probably high on your list of considerations. A 25% cost difference is no joke! The lights, while not powerful, will get the job done. All of the equipment fits in a compact case. 6 batteries, 3 chargers, and 3 AC adapters give you options and reliability on the job. Warming panels give you options in tungsten-lit environments. Cost. This is the one potential killer for this kit. Although not expensive, there is competition out there with competitively specced equipment that comes in at a much lower price. The bag, although handy to have, ill-fits the foam inside and doesn't seem too sturdy. Thanks for reading folks! For any of you video pros out there, are there any other pieces of kit that beginners should look for?